ConocoPhillips respects the rich culture of Alaska Native peoples and actively seeks to learn from their traditional and local knowledge. We work diligently to build inclusive, honest and respectful relationships with our stakeholders, particularly with our North Slope neighbors who live near our operations. We engage with them openly and transparently in order to promote understanding of our activities, learn more about local concerns and collaboratively seek solutions. We strive to ensure open lines of communication through community meetings, updates to local governments and tribal councils, and one-on-one conversations with community members. We are committed to building a strong and visible presence in nearby communities, simultaneously creating opportunities for Alaska residents. We value the invitations to participate in community celebrations and the opportunity to share in the rich cultural traditions of our neighbors. ConocoPhillips is committed to investing in educational, cultural and youth programs such as Ilisagvik College in Barrow, the Northwest Arctic Borough Magnet School, and the Alaska Native Science and Engineering Program at the University of Alaska. Working jointly with the Arctic Slope Community Foundation and the North Slope Borough Autaaqtuq Fund, ConocoPhillips has supported new playgrounds in Nuiqsut, Point Hope and Wainwright, training programs in Anaktuvuk Pass, STEM (Science, Technology, Engineering or Mathematics) summer camps, tribal system and health care system training, and the North Slope food banks. In 2014, Ilisaġvik College recognized ConocoPhillips for donations in excess of $1 million. Since 2002, we have provided annual funding for scholarships, camps and general operations for Ilisaġvik College. We have also supported education events such as the Nuiqsut Health Fair, the Nuiqsut Science Symposium and job fairs. We continue to offer internships at Alpine and support the Career Quest program with the Nuiqsut Trapper School. Alaska’s Native communities have a unique connection with the environment based on centuries of traditional knowledge passed on through generations. 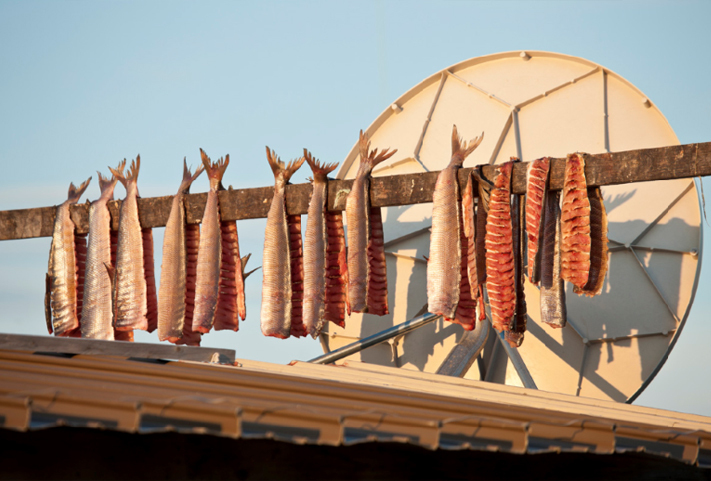 ConocoPhillips understands the value of traditional knowledge and supports community-based projects such as the Northwest Arctic Borough’s Subsistence Mapping project and Inuit Circumpolar Council-Alaska’s Food Security Project that seek to gather and preserve traditional knowledge so it can be integrated into project development and decision making.